Until the week before Passover (Pesach), Operation Clean-Up is going on and I am clearing out any cabinet with food in it (including refrigerator and freezer). 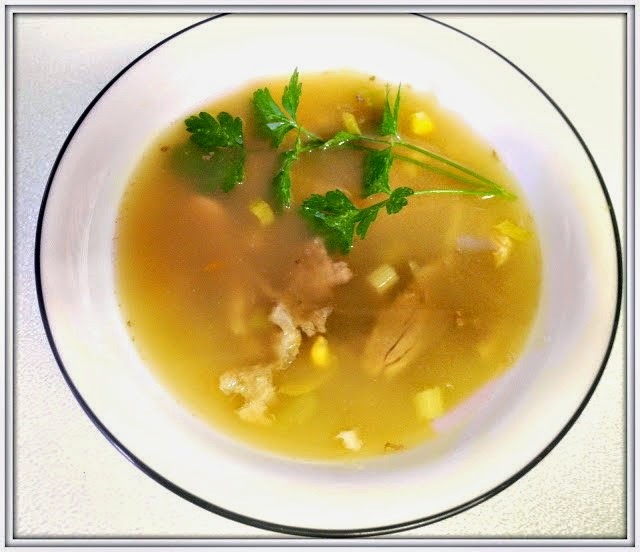 This is an example from an old post of how I throw, whatever I can find in my kitchen, together to create a new dish. I found in my hydrator, a half of a package of shredded cabbage which had to be used up or it would land in the garbage and that is not where food belongs. I have tons of recipes using cabbage but I was not in the mood for making any of them. What else could I find? In my onion drawer, there were two shallots. Sounded good to me. There was a bag of golden raisins and another of cashews in the cabinet. So far, so good. A moment of thinking and I decided on a simple stir fry. Add shallots and cook for 5 minutes. Add cabbage and cook for an additional 5 minutes. Finally, add the nuts and cook for 2 - 3 minutes. Add brown sugar and black pepper and mix in to cabbage mixture. Time to eat and enjoy. 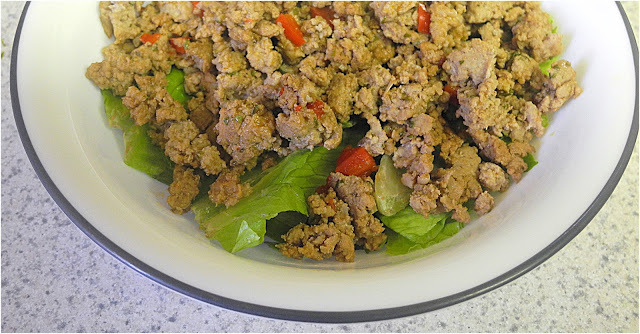 Love easy, yet healthy recipes like this one= looks delicious and perfect for Pesach .I love finding regular recipes that I can eat on Passover. 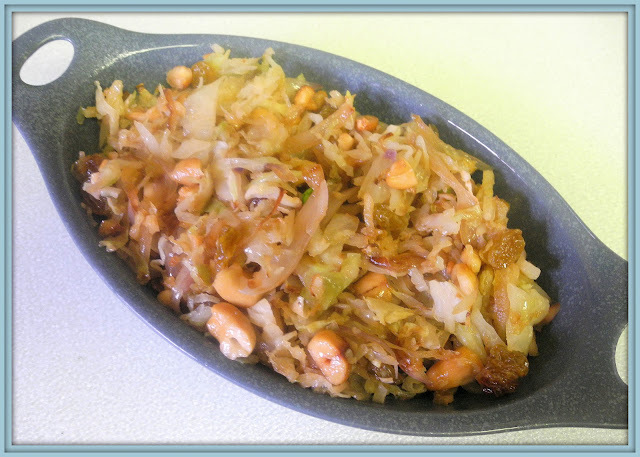 I love the idea of adding the nuts, Chaya - what a great way to make cabbage extra special!